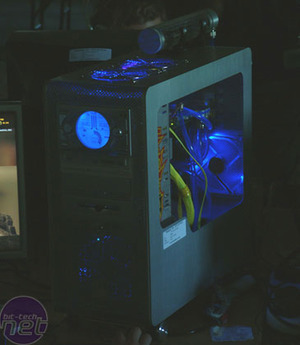 Over the course of the weekend, we managed to spend some time down at the latest in Multiplay's excellent i-series LAN parties. The event was pretty full, as it always is these days - it's the largest LAN in the country at the moment. Also, going by the fact that this was their 25th event, they've been very successful thus far. As always, we were happy to see the enthusiasm and general madness of the gamers who made the trip down - all 1000+ of them! 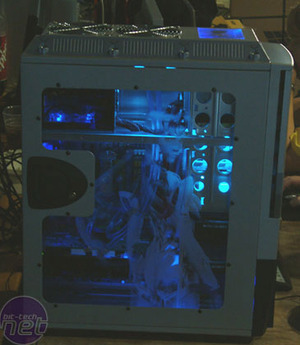 Traditionally, LAN parties have been a place where gamers show off their case modding skills as well as their gaming skills, too. 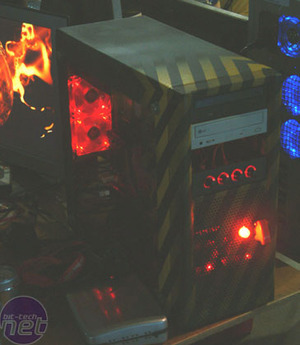 Unfortunately, there didn't seem to be a great deal of modders present at this event and we were somewhat disappointed by the quality of the case modding at the event, but here's a select few cases that caught our eye. That didn't mean that the standard of gaming was poor though - we went along and watched three of the team finals that were held on the Sunday afternoon. i34, the largest ever LAN party to be held in the UK is about to kick-off, and bit-tech will be there! 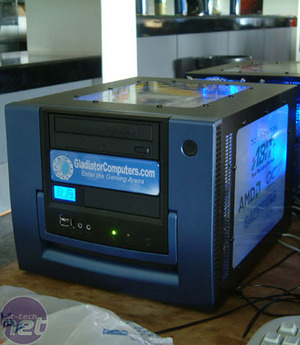 Britain's own Aqua-PCs will be showing off Liquid Nitrogen cooling at the UK's biggest LAN event - i33 with help from BenchTec UK.